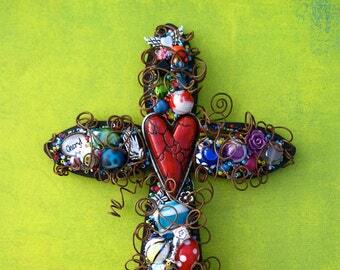 Two layers of crosses secured together. 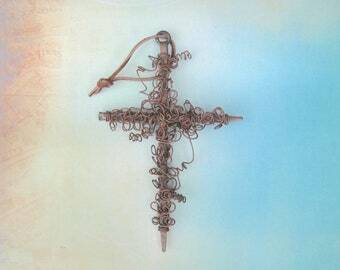 The first cross is a distressed wooden cross. 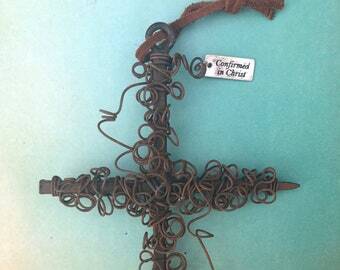 Secured to the wood cross is a hand rusted (not painted) chippy heavy gauge metal cross. 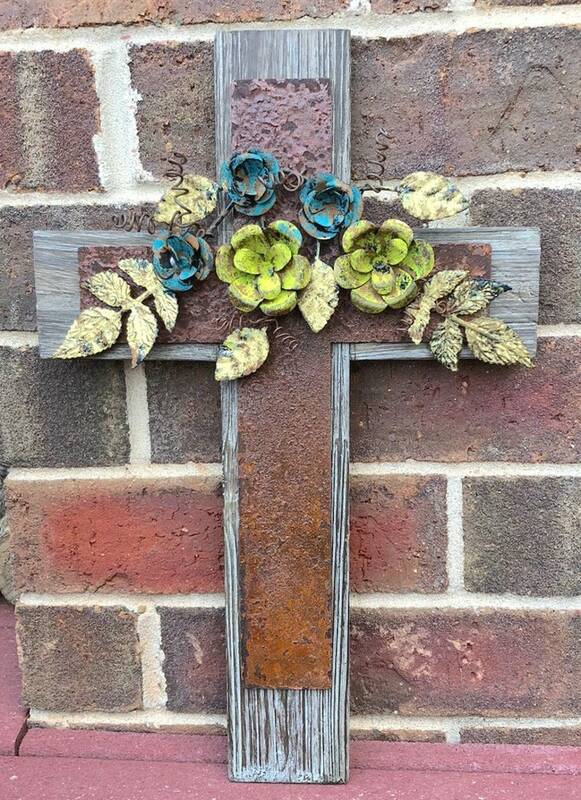 Secured to the rusty cross is a decorative arrangement of metal flowers in distressed colors with rusty wire vines. 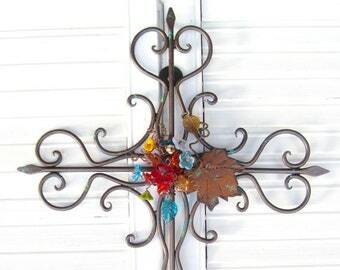 There's a saw tooth hanger on the back so the cross is ready to hang on your wall! 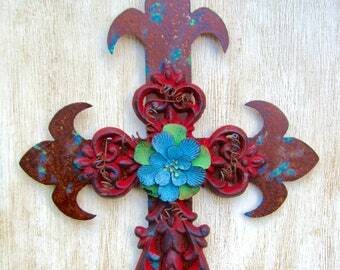 Each cross will be unique and no two the same, due to hand-painting and rusting. Measures approximately 15 x 9.5 inches.